Ever walk down Main Street and look at the roofs of buildings? No? I didn't think so, but maybe you should! 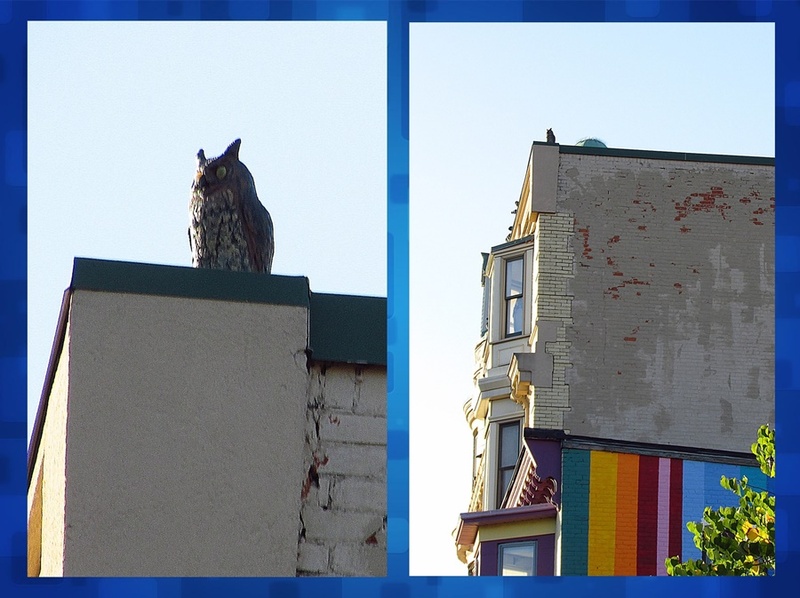 Our little friend today is an owl perched on high above St. Vincent DePaul's. No, he's not real, just one of those decoy owls that are supposed to scare away critters. It's just one of those neat things that make Middletown so unique, and special. So, the next time you're walking by, take a peek at our wise friend that always looks over us. If you have a picture you'd like to submit for Photo of The Day, please email us at middletowninsider2@gmail.com. All photo's used will be properly credited to the photographer.